If even business doesn't get this then what hope? One of the standard bits of economics that we need to explain again and again is the incidence of taxes. Corporations don't pay profits taxes, shareholders and workers bear the burden. similarly, business, in the form of a business that uses commercial property, doesn't pay business rates: they fall upon the landlord. But if business itself doesn't manage to grasp this point then what hope of getting everyone else to grasp it? The Government’s “business tsar” has backed an emphatic call from the nation’s retailers for a fundamental reform of business rates to boost Britain’s productivity. Sir Charlie Mayfield, chairman of the John Lewis Partnership and president of the British Retail Consortium (BRC), has thrown his weight behind a chorus of complaints from the bosses of Britain’s high street traders that the hefty business rates tax is hampering investment in the sector. An overwhelming 95pc of 100 UK retail bosses surveyed by the BRC said that a reform of business rates would boost the nation’s productivity. “Business rates bills have continued to rise when property values have fallen,” Sir Charlie said. “Retailers are now paying £2.40 in business rates for every £1 in corporation tax. Reforming the rates system would be a welcome boost for retailers and help drive investment in training and technology,” he added. The level of business rates makes no difference at all to the operating costs of those who rent buildings or space. The total rental value is determined by what people are willing to pay to occupy such space. How that is split between landlord in rent and government in rates is irrelevant to that price the occupier will pay. Thus the incidence of the rates is not upon the operating business but upon the landlords. And reducing taxation upon landlords is not going to make any difference at all to the adoption of technology nor productivity. What this is is a rather more naked call from landlords that they should be taxed less: any reduction in the rates bill will lead, as above, to their being able to increase rents. And of course there's a few retail chains that own their properties, rather than lease them.....such a reduction in rates would privilege those businesses over others. 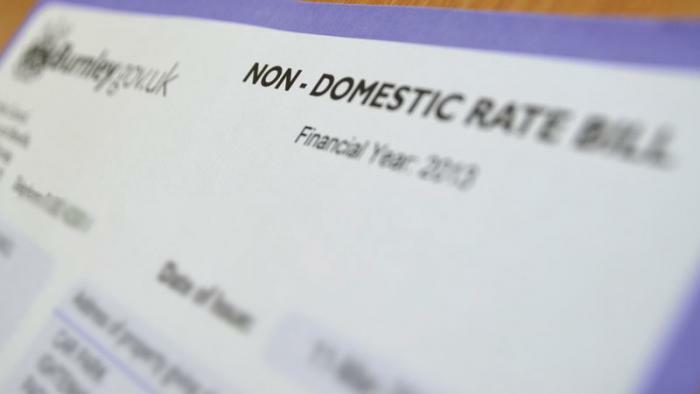 We're not so naive as to believe that any part of Britain's taxation system is perfect but business rates are one of the better parts of it as is. Taxing landlords and their rent is closer to a land value tax than anything else and as such is one of the least distortionary taxes and one with the lowest deadweight costs. Don't reduce it.